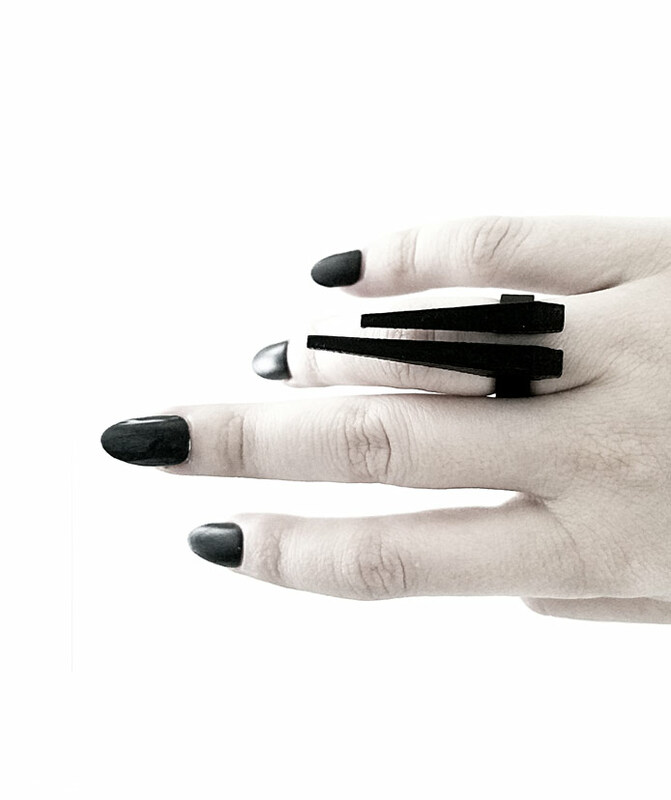 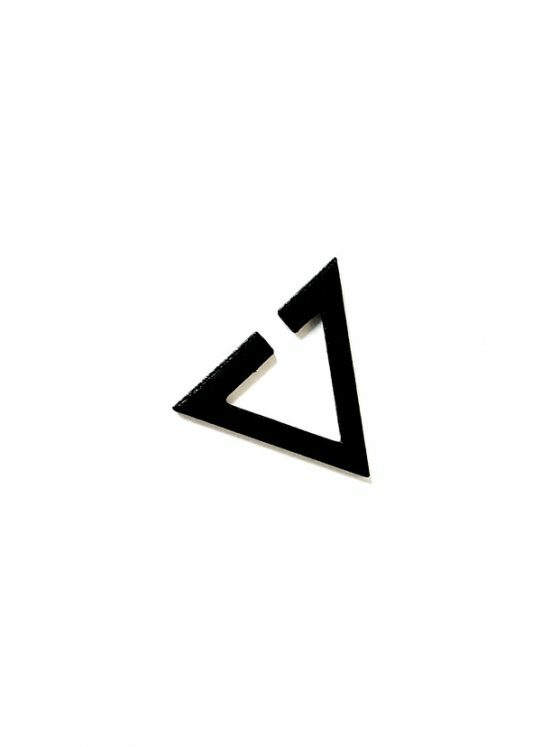 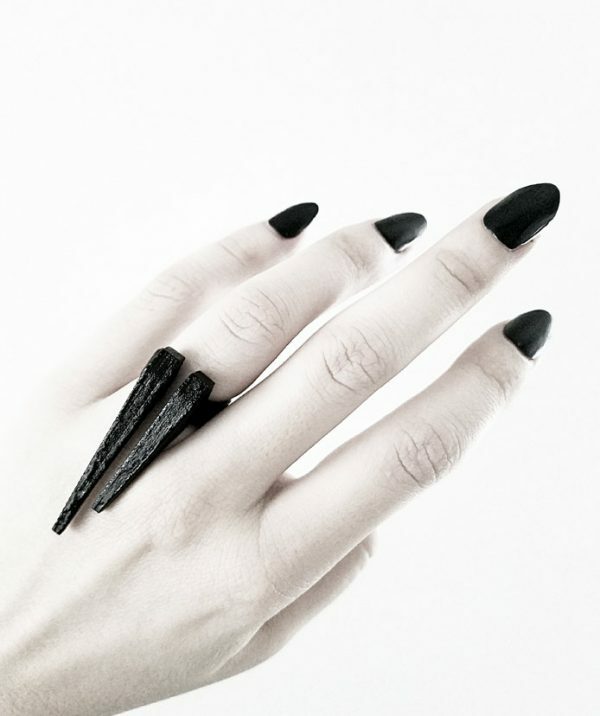 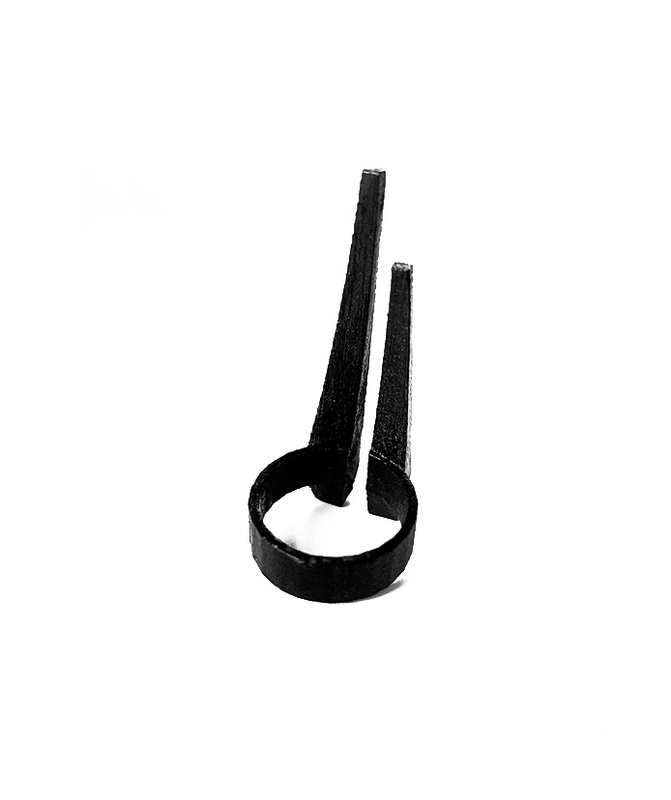 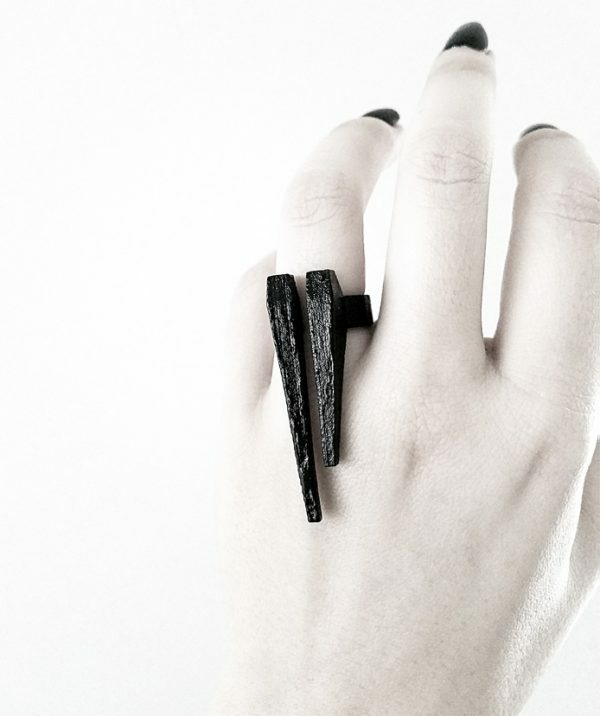 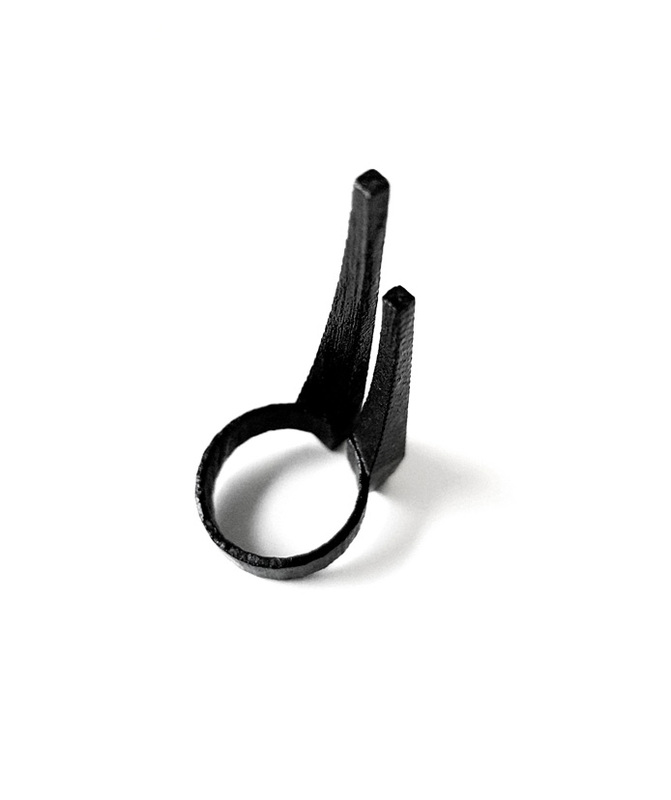 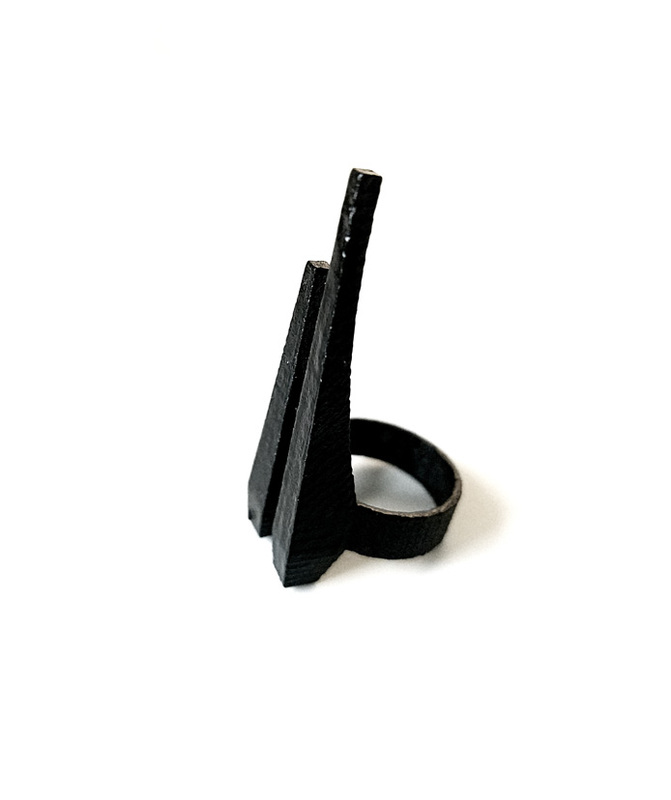 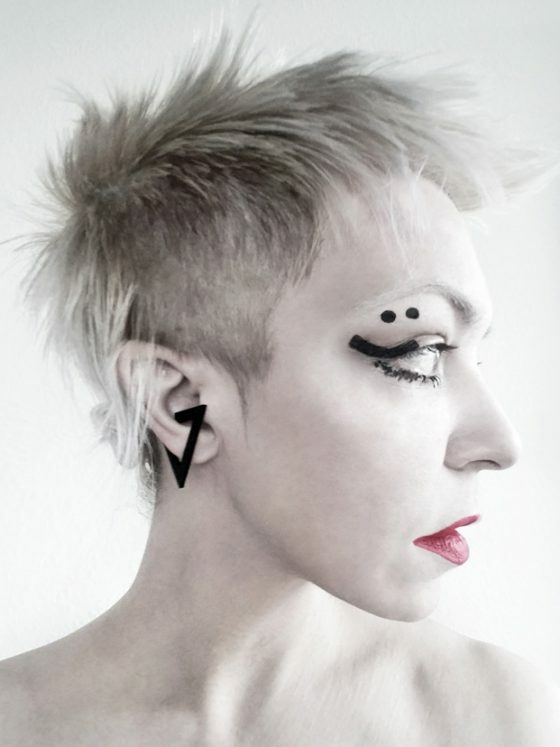 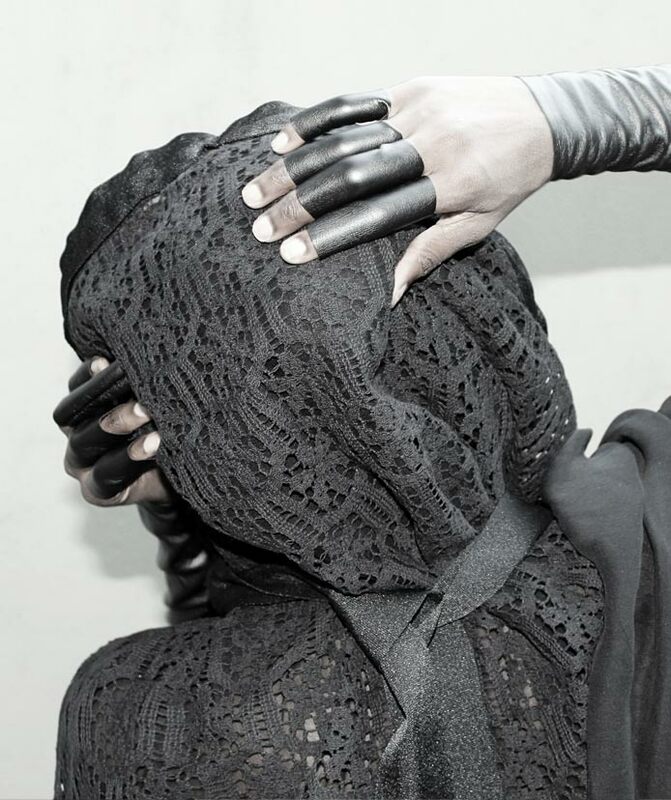 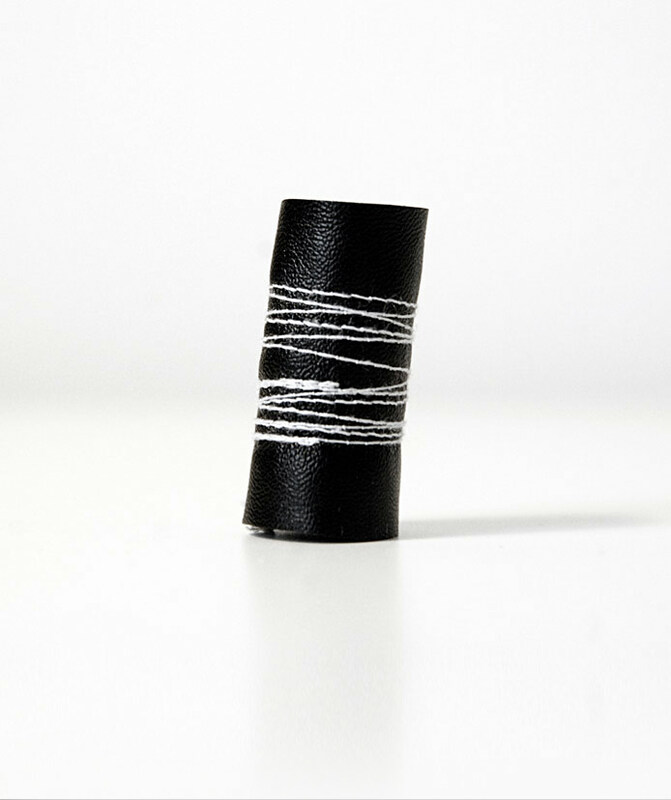 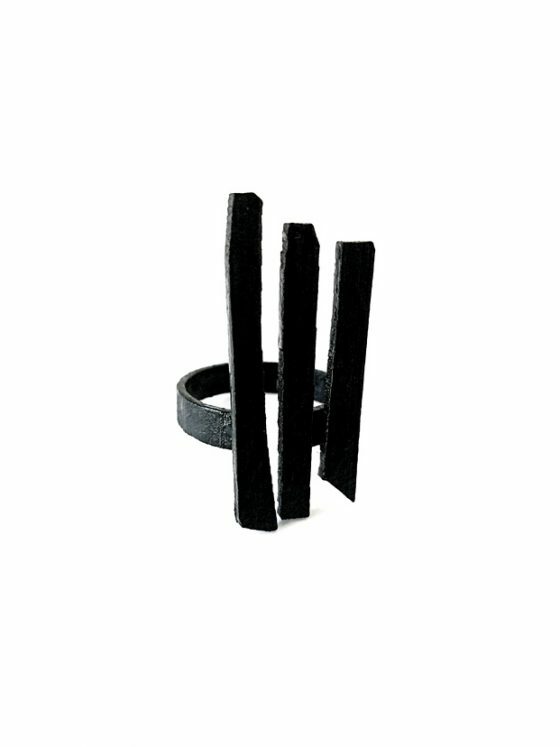 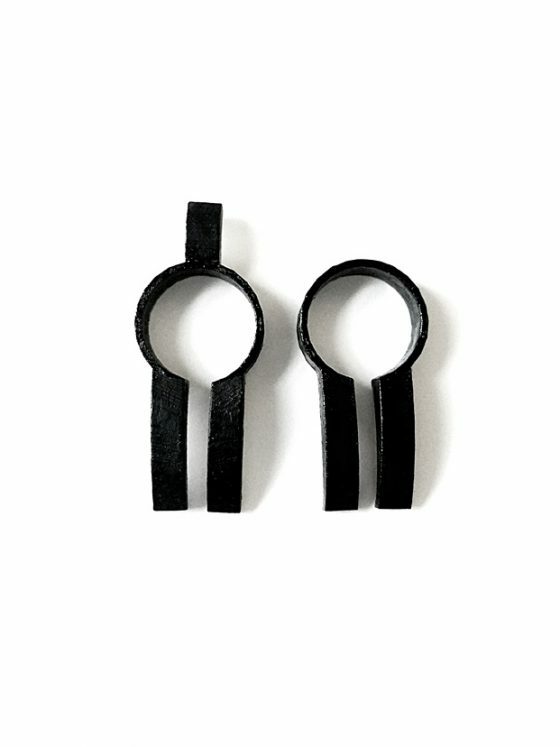 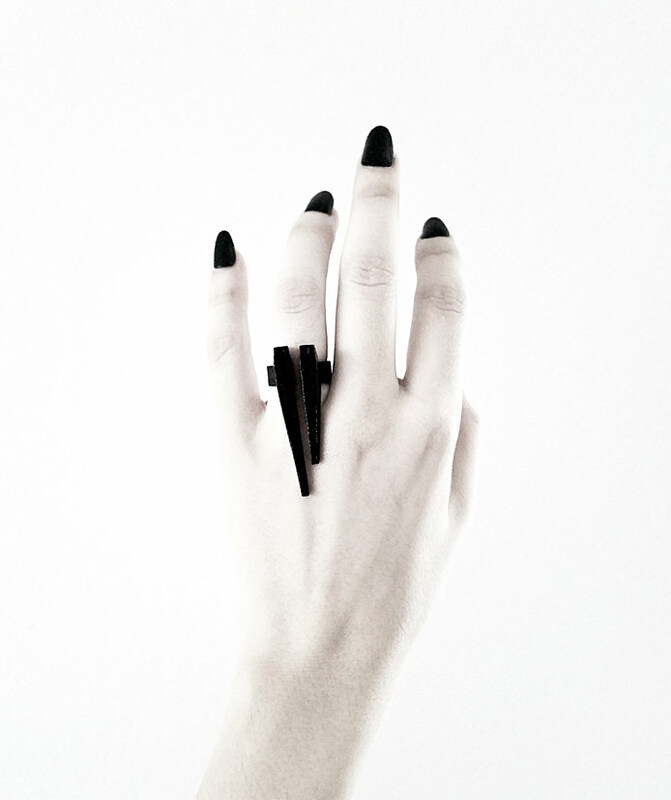 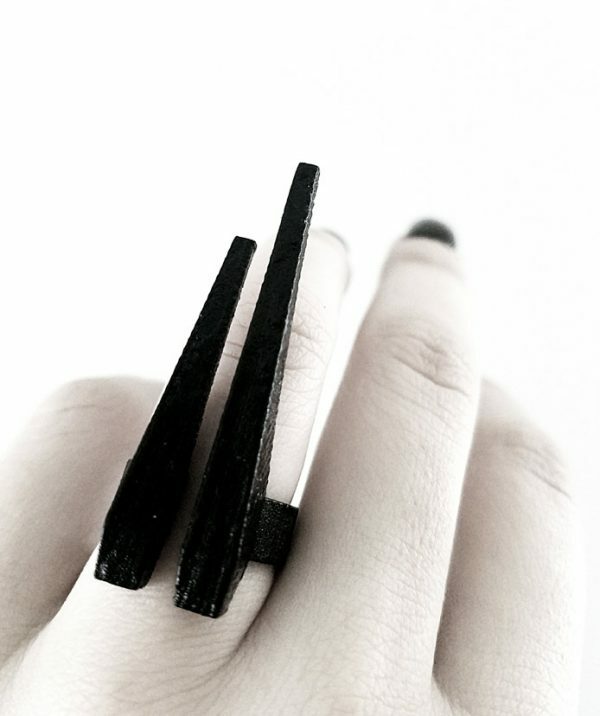 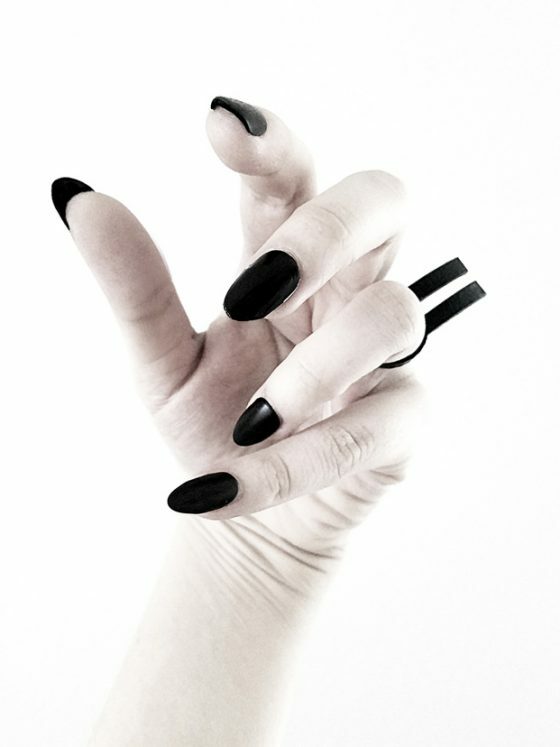 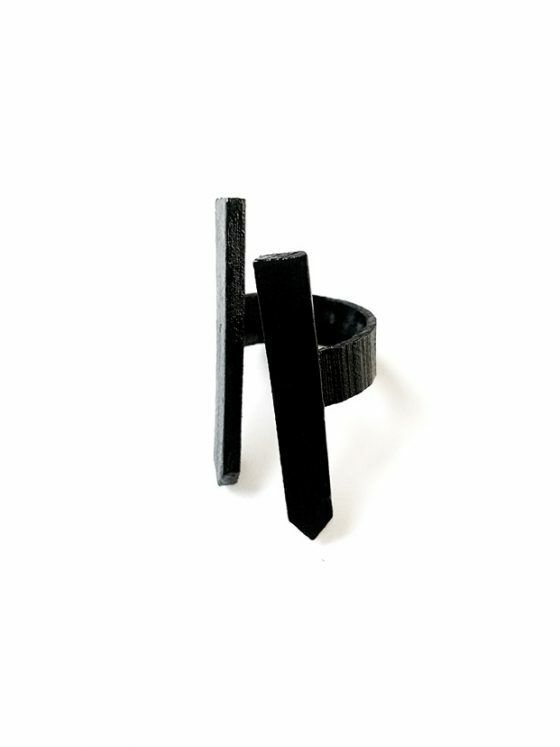 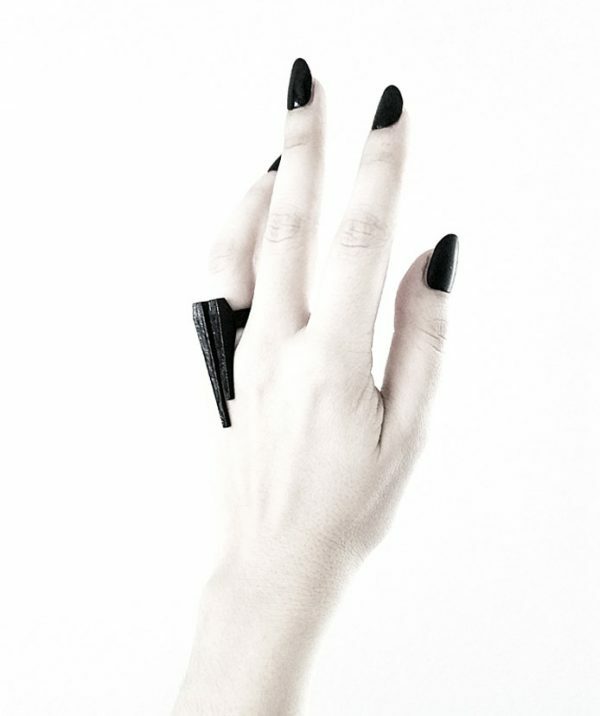 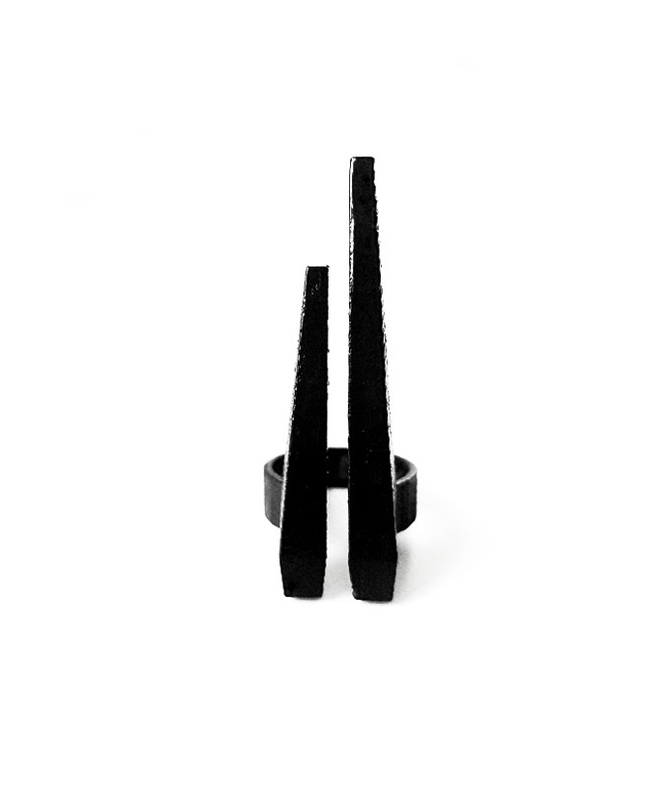 Super durable black steel 3D printed Tusks ring from Abrax collection. 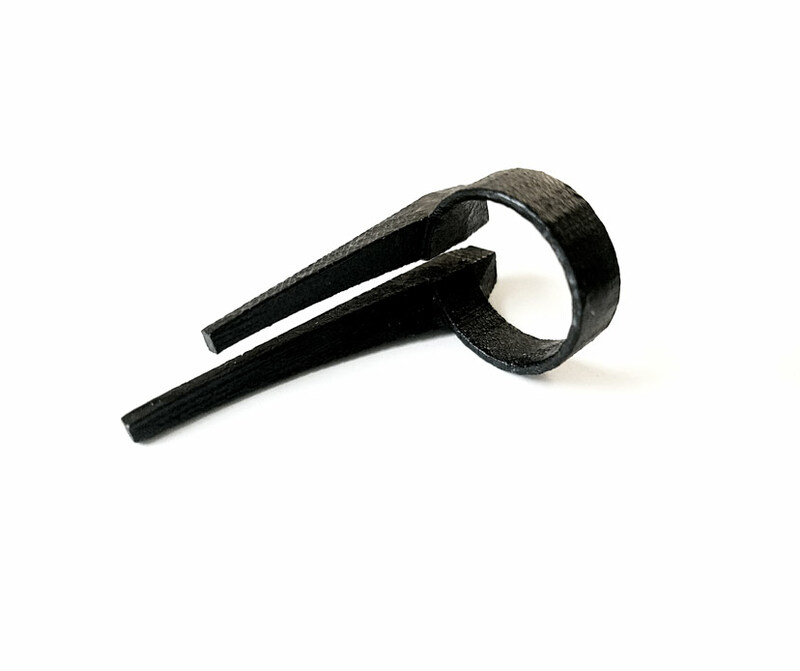 A robust metal, black steel is 3D printed 420 Stainless Steel infused with bronze, and has a final composition of approximately 60% steel and 40% bronze. 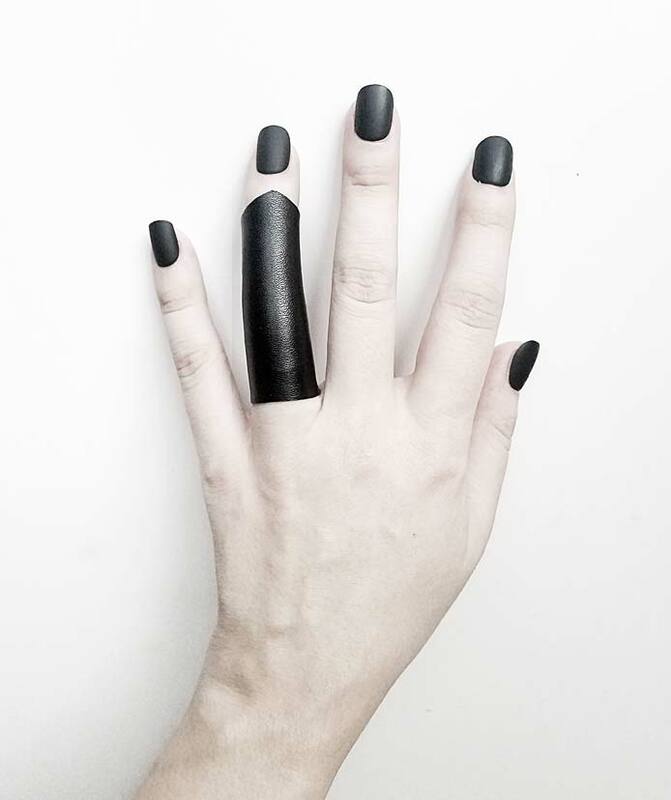  Available in matte and semi gloss finishes. The ring is then processed to achieve your desired finish, sprayed with a sealant, hand dyed and shipped to you. 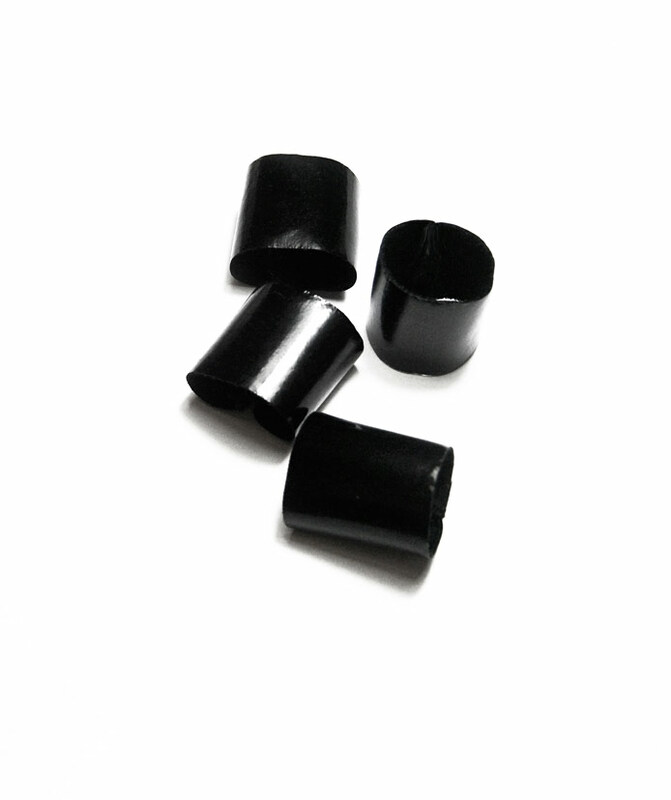 Can withstand water and sun exposure without changing its qualities.